Integral Entered Into Agreement To Sponsor Yohji Yamamoto Inc.
Yohji Yamamoto Inc. has gained a world wide reputation as a leading high-end fashion brand created through the unique vision of its chief designer, Mr. Yohji Yamamoto. 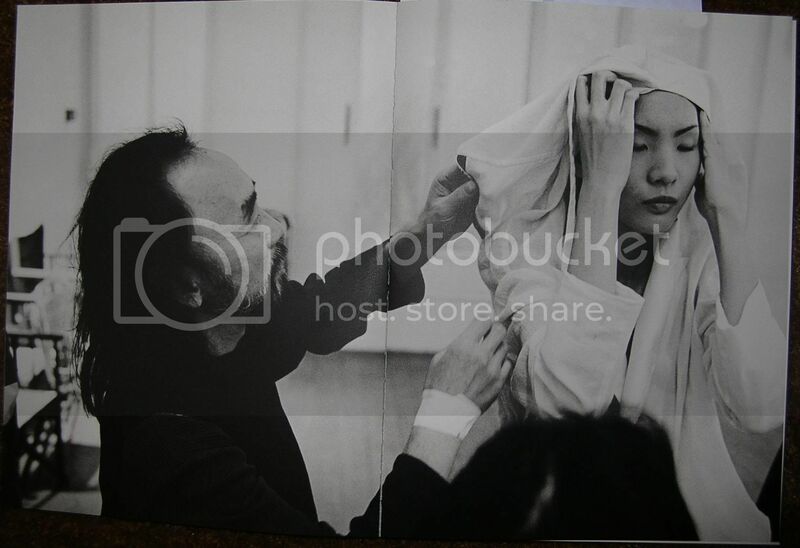 Yohji Yamamoto Inc. has been highly respected in the industry since its Paris debut in 1981 and has been ranked in the top 10 designers by the French Journal du Textile. 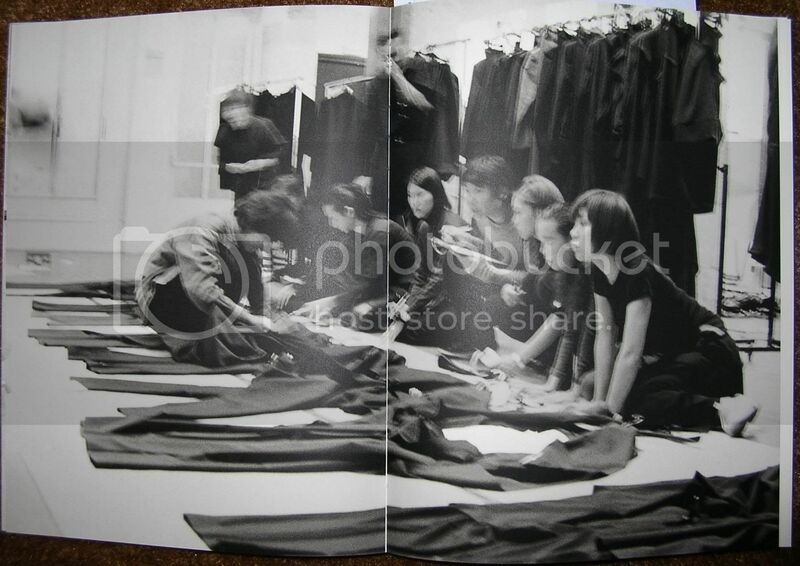 Yohji Yamamoto Inc.’s brand lines include “Yohji Yamamoto”, “Y’s” and “Y-3” (collaboration with adidas AG). Limi Yamamoto Inc.’s brand (“LIMI feu”) debuted at Paris collection in 2006 under the leadership of its renowned designer, Ms. Limi Yamamoto. subsidiaries and assets from Yohji Yamamoto Inc. Yohji Yamamoto Inc. filed for bankruptcy protection from creditors under the Civil Rehabilitation Law on 9 October 2009. Prior to transaction close, Tokyo District Court must authorize the carve out and transfer of Yohji Yamamoto Inc.’s business. Following approval and signing of agreements, Integral’s special purpose company will become the new Yohji Yamamoto Inc.
continue to design high-end apparel as they have done in the past for the runways in Paris, New York, Beijing and Tokyo and further strengthen their retail and wholesale distribution channels. Integral invests in Japanese companies with a long-range perspective and a unique approach called “hybrid investment” which consists of both principal and fund investments. Integral plans to make a hybrid investment into the new Yohji Yamamoto Inc. and is committed to partnering with Yohji Yamamoto Inc. for long-term success. Integral will provide Yohji Yamamoto Inc. with capital and financing as well as assist with management resources, including appointing Mr. Yoshihiro Hemmi (Integral’s partner; former CEO at Tohato Inc. and Vice-President at adidas Japan) as Chairman of the Board. Integral Corporation was founded in September 2007 with the support of GCA Savvian Group Corporation (TSE Mothers Market, ticker: 2174, Head Quarters: 1-11-1 Marunouchi, Chiyoda-ku, Tokyo, Japan) (http://www.gcasavvian.com/en). “Integral” stands for “to accumulate over time”. Integral will make long-term equity investment based on a strong relationship of deepest trust with management, and aim to build the highest wisdom “over time”. Integral will share the same objectives and time horizon with the management of invested companies, and provide support in both managerial and financial areas. Integral invests in both listed and unlisted Japanese companies from a long-range perspective with a unique approach called “hybrid investment” which consists of principal and fund investment. Integral will aspire to become a trusted company by offering both managerial and financial support (“i-Engine function”) and thereby will contribute to our society. after a more detailed look at the f/w collection for both mens and womens, the clothes are indeed a step down from the previous few years. The womens was great to look at, but the wools were not very nice. Mens is even more of a disappointment in terms of fabric quality. The cornerstone piece of YYPH this f/w seems to be the Che suit indeed, with the highest level of construction craftsmanship and fabric quality - it's also the most expensive jacket/trousers on the whole mens' floor not counting the 500K yen dyed printed leather jackets - about 138,000 yen for the top and 78,000 yen for the bottom. Most of the standard wool jackets/pants in black gabardine seem to be rehashes of previous stuff. /\ The red/black pieces were awesome. The rest was pretty forgettable. Well, I guess you can't say we didn't see it coming. to understand why his last collection is considered weak, just take a look at his previous work. Makes me smile to look at these. If anyone is yet to see his 1999 SS 'Bride' collection, do take a look. A sublime collection and arguably his best work. I was very surprised to hear about this on the radio. With all his levels and collaborations Yohji has filed for bankruptcy. Well..the ship hasn't sunk. Some investors came in and will carry him. And unfortunately, YY will only have a minority stake. I think this is a matter of too many stores during a a time when the economy heads south. Yohji just wants to design the goods.....it is hard for him to have oversight on his empires. He has God knows how many lines? He'll be fine. I just hope his style isn't affected by all this. /\ Well, judging by the radical departure of the last womens collection, maybe it has been affected. 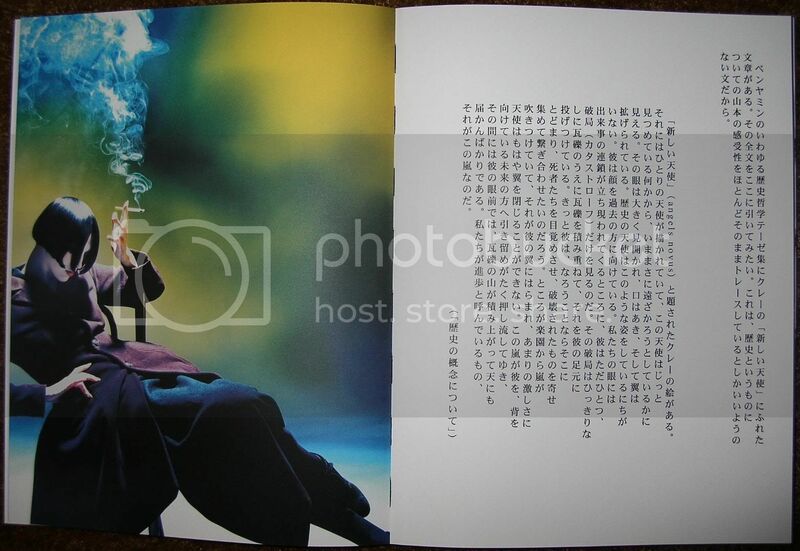 in memoriam: a blog curated by will be revisiting their yohji yamamoto issue over the next weeks. i think it was, as buckwheat pointed out, a styling problem, the neck tie is a total fail combined with the coat. The pant choice wasn't the best possible. Even the model choice was disturbing. I do like the concept, but it wasn't framed properly on the show. Mr Steel take the piece to another level, with the drop crotch pants he is creating an interesting parallel line between the horizontal crotch and the shorter hem, which makes the fracture of the coat beautiful. In the second pic, the vertical pleats echoes the "pleated" hem and do a nice contrast between the curve and the vertical straight line. Visually the skirt serves as estructural support to the curv hem creating a sharp monolithical silhouette, like Paestum's columm. chiming in here, as i own the jacket. i own the trousers too, from the runway, they were meant as a suit but i rarely wear them together. instead, as wire.artist beautifully describes, i wear YY drop-crotch trousers in the same fabric to achieve a more interesting look. the short half of the jacket meets the flat front of the trousers, while the long half lines up roughly w/ the dropped crotch. 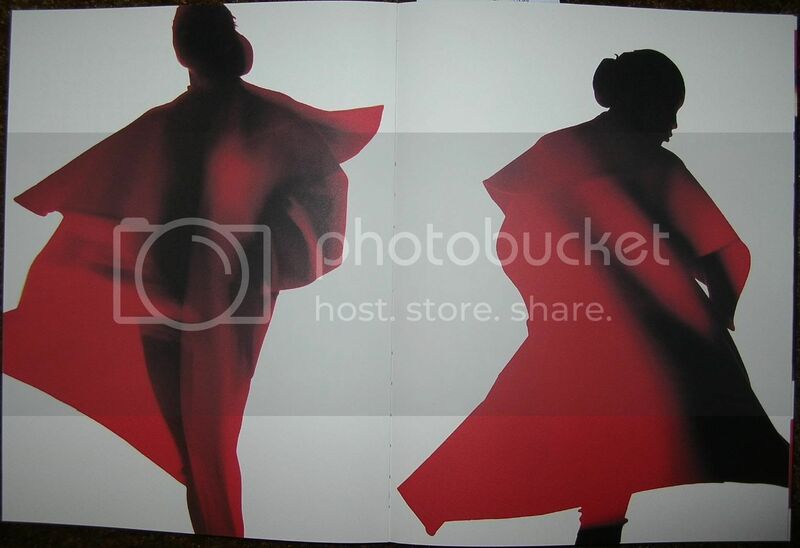 and i think this emphasizes the flare in the back of the jacket too, w/o competing with it. i wore this to that same Encens party as Karlo (the photo of him w/ the jacket and pleated CdG skirt), total faux pas! but you can't really see what I am wearing in the photo, as i am leaning against a shelf. 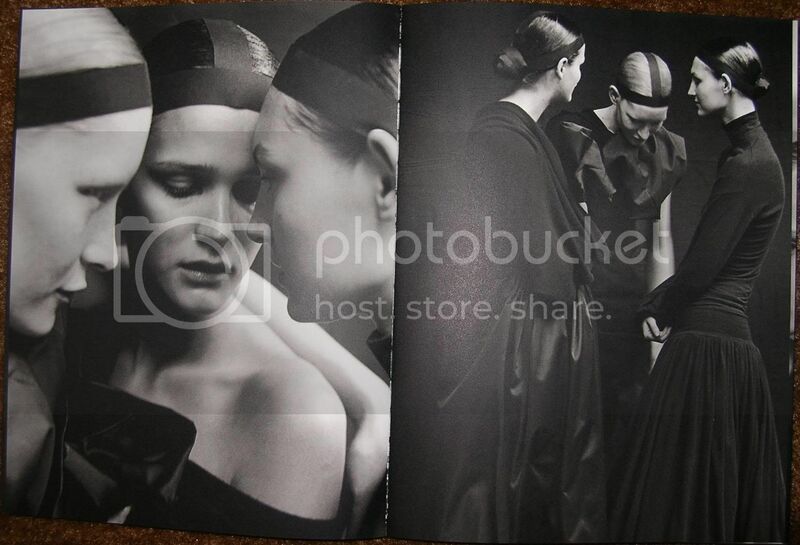 Do any of you have the Yohji book, Talking To Myself? It has a lot of great examples of his work through the years. Women's collections only though. Wish I had a decent scanner so I could share some of it here. Thanks for the back shot H-R. That's like a melting lava. Beautiful. Hanajibu - would like to see your description. Roomy pants sound great with that jacket. Sometimes photographing the book works. I just had to take pictures with my camera since I don't have a scanner, but they came out ok. 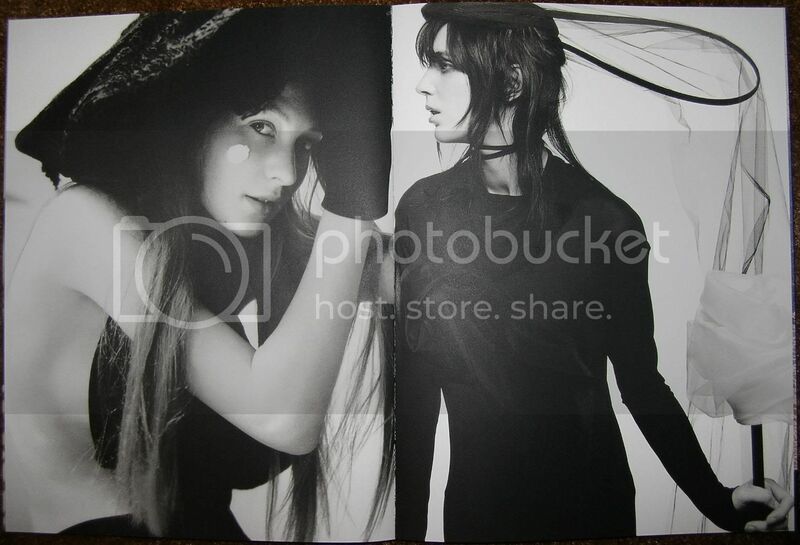 Here are some pictures that are at the beginning of the book, of behind the scenes type work. I'll post some more shortly.